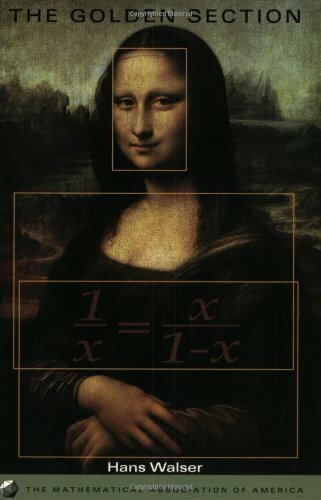 The Mathematical Association Of America The Golden Section by Hans Walser | Free eBooks Download - EBOOKEE! Posted on 2012-09-30, by sharebookfree. The Golden Section has played a part since antiquity in many parts of geometry, architecture, music, art and philosophy. However, it also appears in the newer domains of technology and fractals. In this way, the Golden Section is no isolated phenomenon but rather, in many cases. the first and also the simplest non-trivial example in the context of generalisations leading to further developments. It is the purpose of this book, on the one hand, to describe examples of the Golden Section, and on the other, to show some paths to further extensions. The treatment is informal and the text is enriched by the presence of very illuminating diagrams. Questions are posed at fairly frequent intervals and the answers to these questions, perhaps only in the form of very broad hints for their solution, are gathered together at the end of the text. No comments for "The Golden Section".